IFTTT keeps getting more powerful with time thanks to the addition of plenty of services that normally don't talk to each other but are made to do so thanks to its applets and automations. The latest to join the fold is popular — albeit recently very controversial — ride sharing service Uber. 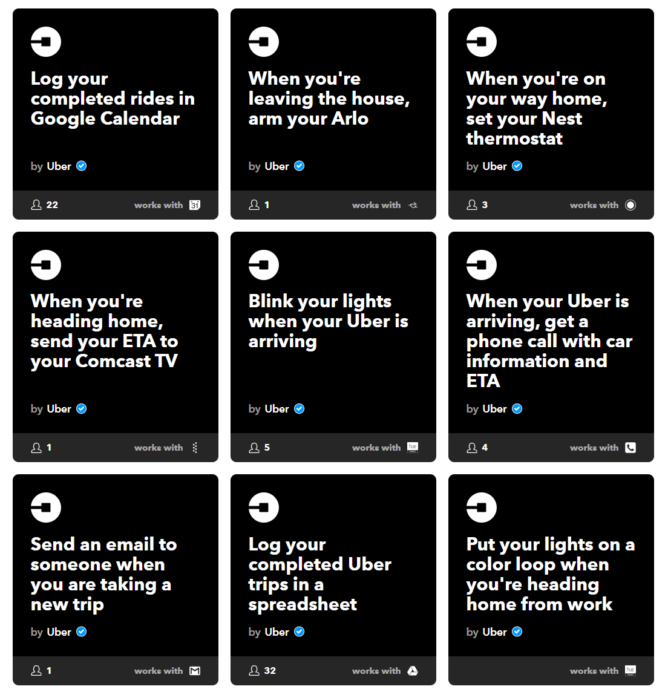 The Uber channel on IFTTT isn't as capable as most others since it only provides Triggers and not Actions. So you can't have your ride automatically requested or canceled based on something else happening, but what you can do is trigger another service when your ride arrives, starts, or ends, and you even have the option to specify exact locations for pickup and drop-off for the trigger to work. Example applets are logging completed rides in Calendar or Google Sheets, turning off the lights or thermostats when you leave home, letting others know you're on your way home/to their place, turning on the lights or other appliances when you reach home, and so on. 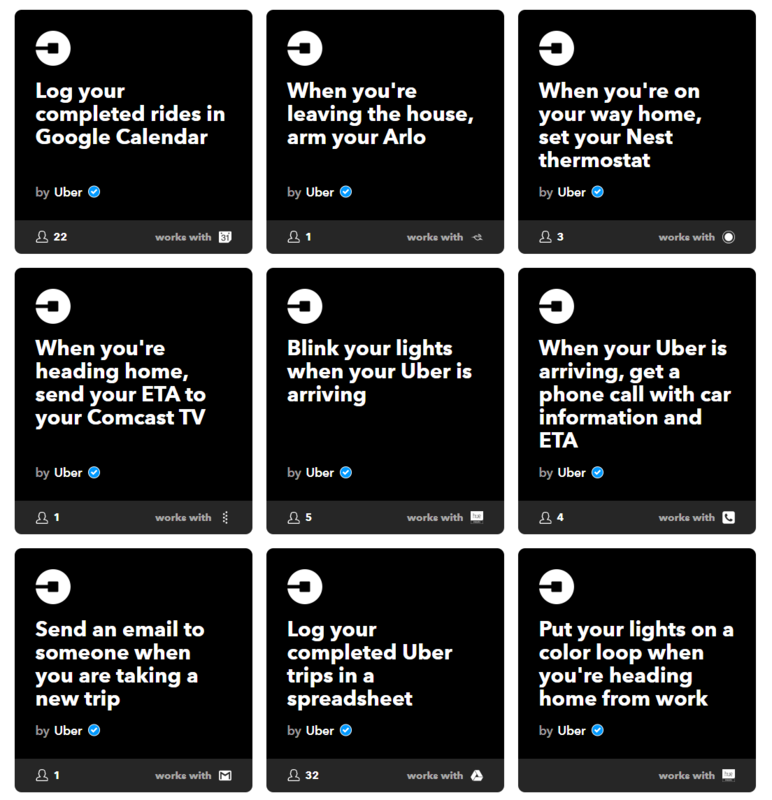 These are all interesting options... well, at least if your rely on Uber for most if not all of your commutes.